Lighting fine art can present a museum or gallery curator with a major problem: how can you brightly light a painting or sculpture, render the colors accurately, and not damage the art with warm light? 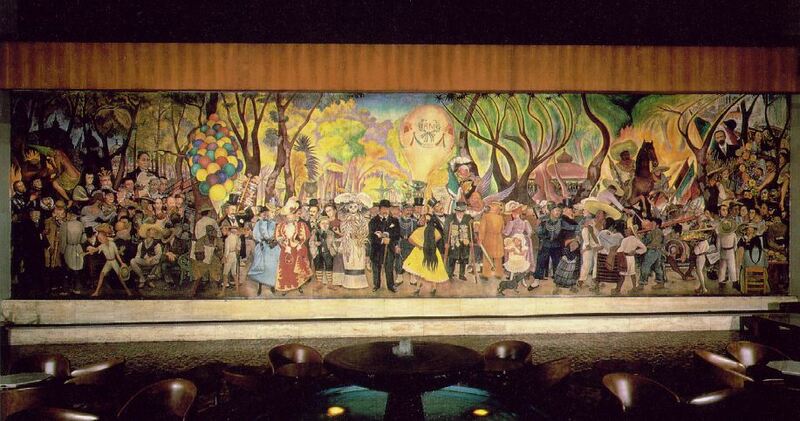 Curators in Mexico City faced this problem when they needed to select a light source for one of the greatest murals of all time by one of the all time great muralists, “Dreaming of a Sunday in Alameda Park,” by Diego Rivera. The curators ultimately decided on PAR38 LED lamps to illuminate the 16m long mural. LED lamps are ideal for lighting art work for multiple reasons. The first and most important is that they give off no heat, which could damage an aged canvas or delicate statue. Secondly, LEDs are naturally directional which is ideal if you are lighting an individual object that requires a large amount of light being concentrated upon it. Lastly, LEDs are long lasting and extremely efficient: with a life hour rating typically between 50,000hrs and 100,000hrs, any museum or gallery will appreciate the low maintenance and energy savings of LED bulbs. LED lamps with very good CRI are now available, making it a realistic option for illuminating an object with vibrant color. 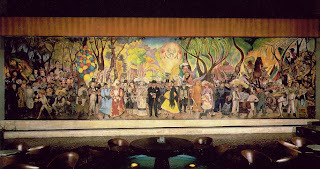 The curators most likely chose and LED flood because the mural was large (16m X 5m). But, for smaller pieces of art there are other good options, and not solely LED options. MR16s, in addition to LED lamps, are often ideal for illuminating smaller pieces of art. Most MR16s feature “cool beams” which simply means that the heat generated by the lamp’s halogen light source is funneled out of the bulb, thus cooling the reflector and cooling the light produced. MR16s feature directional light with sharp edges which make it a great choice for general display and even accent lighting. LED MR16s, the best of both worlds, also exist. Silver and Ushio offer 4w to 5w MR16s with standard GU5.3 bases to guarantee that if you plan to retrofit your standard MR16s with LED MR16s, you would likely to be able to do so with no problem. LEDs are revolutionizing the way art is illuminated. One should expect to see more and more of the world’s greatest pieces of are under the light of LEDs. Whether you are illuminating a hundred year old portrait or simply a photograph of your dog, you want a bulb that will be true to what is in the frame. LEDs are the bulb for the job. BulbAmerica has many LED options to choose from, check out all of our options right now!